As humans, we are hardwired to make quick decisions. This stems from our time on the savannah as hunter-gatherers – hunt or be hunted, fight or flight. Every day we subconsciously make a multitude of decisions: your most recent one was whether to read this article or not. We make decisions so frequently, some sources say that we make up to 35,000 decisions every day – most of the time we don’t even realize we are doing it. The way we think is largely shaped by various unconscious biases which ultimately influence the way we perceive reality. How we were brought up, how we were socialized, our subsequent social groups, our exposure to diversity in society and the media at large are all aspects of bias that feed into our decision-making process and ultimately help us form our judgements. In an ideal world, the decision to hire a candidate would be based solely on their ability to do the job well. The hire would be approached in an objective, pragmatic way, free from subjectivity and unconscious bias. But we don’t live in an ideal world, and as hard as we try, sometimes we let outside factors cloud our judgement. And the thing is, this unconscious bias happens whether we want it to or not, it’s unconscious. Unfortunately, there is nowhere more apparent where our unconscious bias plays out than during the recruitment process; when recruiters are told time and again to ‘trust your gut’ – to rely on and make decisions based on our intuition. But as you’ll discover later on, intuition is based on, yup, you guessed it, unconscious bias. Why should unconscious hiring bias worry you? First of all, hiring the wrong person can lead to early employee turnover, costing the company thousands of dollars or up to double the employee’s annual salary. Next, a biased hiring process can bring legal troubles. But most importantly, you want to strive for a diverse workforce. Companies that have ethnically diverse workforce are 35 percent more likely to perform above their respective national industry medians. Gender diversity helps organizations perform 15% above the median. Unconscious bias can prevent companies from hiring diverse employees and hinder the overall productivity and that’s why it is essential to eliminate it from your hiring process. However, it’s not that easy. When recruiters make hiring decisions, we have to make judgements based on various implicit concepts. As much as we can try and make a rational decision based on all the evidence we have at hand in order to balance any unconscious biases we know exist, there are usually more than one at play. So well done if you recognize any of the below in your hiring decision making process and make efforts to counter them. But have you encountered the others? Do you know what all the types of hiring bias to watch out for are? Everyone is quick to pass judgement, we are all guilty of it, recruiters just as much. We make snap decisions based on perceived truths and then spend the rest of the time, subconsciously or not, trying to justify our bias. This is when we ask irrelevant questions, trying to elicit answers that support our initial assumption about the candidate. We do this because we want to believe that we are right about our instincts and that our assessment of the candidate is correct. In fact, 60% of interviewers will make a decision about a candidate’s suitability within 15 minutes of meeting them. Some will have done it before the interview even happens. The obvious danger here is that we could be passing over great candidates for no real reason at all. This is when the recruiter mentally takes shortcuts to reach a conclusion about a candidate’s ability to do the job, without carefully examining all of the evidence first. Quite simply you are judging someone’s suitability for a position based on superficial factors that have no sway in how they would carry out the task at hand. For example, deciding someone with obvious tattoos, someone overweight, or someone called Pete (if your ex-boyfriend was called Pete) are all incompetent because you don’t like that particular trait or aspect of their personality. Research by evolutionary psychologists has revealed that our tendency to rely on heuristics was a survival mechanism that benefited early humans. But we aren’t early humans anymore and this form of hiring bias is not only preventing you from recruiting potentially great people – who just don’t fit your mold – but you are laying yourself wide open to a lawsuit if you are found out. Expectation anchor bias is when we allow ourselves to anchor onto one certain piece of information about a candidate and use it to help us make decisions. One example of this is when a recruiter refuses to believe that anyone other than a carbon copy of the role’s predecessor can do the job properly. Thus immediately discounting the majority of the candidates as they don’t fit the unreal expectations of the recruiter. This hiring bias is similar to the expectation anchor bias as it occurs when the recruiter forgoes proper investigation of a candidate’s background, choosing instead to focus too heavily on one positive aspect of a candidate, like where they went to school, or what sports they do, and rely on that one thing when making decisions. We zero in and let that golden halo guide us and our opinion of the candidate. Forsaking all other information about them, we are blindsided by this one thing about them, the thing we believe makes them so great. 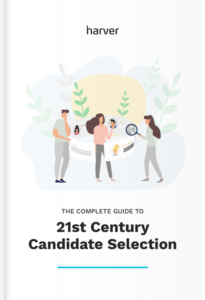 This knowledge can then blinker the recruiter throughout the recruitment process, as we firmly believe that this candidate outshines the others because of it. We can place a high expectation on the candidate, disregarding any red flags on their resume that clearly highlight they aren’t right for the role. But that doesn’t matter, because the halo effect spreads far and wide, covering the rest of the resume in glitter. The horns effect is the polar opposite of the halo effect. This is when something bad about the candidate negatively grabs our attention and we can’t move beyond it. We let it cloud our judgement, and more often than not it impacts our hiring decision because we believe that if the candidate is bad at A, they’ll be poor at B or C. Or more simply it could be a character flaw or aspect of their personality that irks you and you let that drive your decision to not hire them. The overconfidence bias occurs when the recruiter is so confident in their own abilities to either pick a good candidate or to eliminate the supposed bad ones, that they allow confirmation bias to creep in, to justify their decisions. The recruiter allows their subjective confidence to cloud their objectiveness, and they tend to rely on so-called intuition – but we’ll get to that bias later. It is human nature to want to surround ourselves with people we like and feel we have a rapport with. And the work environment is no different. If you’re going to be spending a third of your day working alongside someone, you want to know that you will get on with them. So the similarity attraction bias is a result of the recruiter taking this too far, and are more inclined to hire candidates we view as being like us or having similar traits or characteristics as us, even when those things aren’t correlated with on-the-job performance. A study by Harvard Business Review showed that when there is one female applicant among four candidates, she has 0% chance of landing the job. The illusory correlation is when a person believes a relationship exists between two variables when there is, in fact, no relationship there. This tends to happen when recruiters put too much emphasis on questions they believe to provide insight into a candidate’s behavior, random questions that bear no relevance to their ability to perform in the job. This is akin to the similarity bias and is unfortunately played out a lot in recruitment. The affinity bias is just that – when we feel a natural affinity towards a candidate due to something we have in common with them – we come from the same town, went to the same school, know the same people. As recruiters, we can allow this feeling of affinity to affect our behavior in the interview and influence our decision when it comes to hiring. We believe there is a connection there, much like the illusory correlation, we place emphasis on something that isn’t tangible nor relevant to the hiring decision. This is a view that beautiful people are more successful. And again it comes down to how our brains are hardwired. We tend to think that the most handsome individual will be the most successful, and as a result, they tend to be. Beauty bias can be linked to the anchor bias in that it can be common for recruiters to try and fill a role by finding a candidate who has a similar appearance to the person leaving because they subconsciously believe that how a person looks, affects how they will perform in the job. Conformity bias is based on a famous study, the Asch Experiment, that shows how our decision making can be affected by group peer pressure. Our fear of being thought poorly of by our peers or being ridiculed can allow us to be swayed by others. Imagine if you’re on a panel and you’re the only one who thinks a particular candidate did well. Would you say so and go against the rest of the interviewers, or allow yourself to be swept along by the majority and potentially let a great candidate slip through the net? As recruiters, we are told repeatedly to trust our gut. Meaning that we can make decisions and intuitively select a candidate basing our choice on irrelevant factors such as emotion, intellect and their individual makeup instead of focusing on a person’s actual capabilities. As recruiters we spend a large amount of time sifting through resumes, and rather than allowing each resume to stand out on its own merit, we can have a tendency to compare the latest resume to the one that went before. In doing so we are merely moving the goalposts with each new resume sift. And instead of judging whether a candidate is suitable for a role, based on their skills and attributes as displayed in the resume, we are comparing them to other candidates instead. So what can you do about hiring bias? • Do be aware of unconscious hiring biases that your team might have, and look out for them. • Do ensure your hiring managers have received suitable interview training that covers common hiring biases. • Do make hiring decisions based on evidence rather than on subjective assumptions. • Do be consistent and transparent in your hiring process. • Do create a standardized interview guide and ensure you ask every candidate the same questions. Alexandra Johnson is a seasoned writer specializing in HR, recruitment and tech topics. When she isn’t at her desk writing, she’s researching tech developments.